Marjorie, 16, is eager to spread knowledge about all kinds of safety. 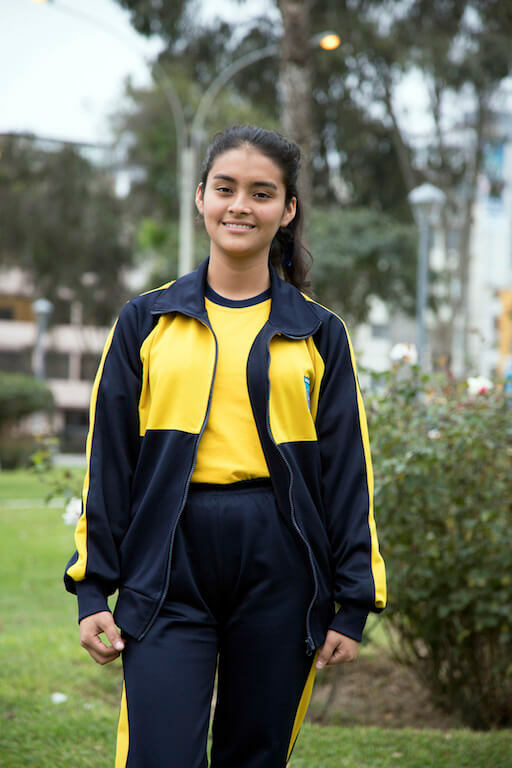 Living with her mother in the district of Carabayllo in Lima, Peru, she became involved with Plan International’s “Safer Cities” program, which aims to transform communities into safe places where girls can go to school without fear of harassment or violence. “I am fortunate to live close to school, but that doesn’t mean I haven’t had uncomfortable experiences on my daily there and home,” said Marjorie. “What I’ve discovered is that it truly doesn’t matter if you cover up: People like motorcycle taxi drivers will still make comments at you. You can walk in trousers and a thick coat, and they will still say ridiculous things like, “Mamacita, you look so good. Some moto taxi drivers actually think its fine to whistle at us because they’re not touching our bodies, but if it makes us feel bad anyway. It still IS harassment. Many of them work around my school; Some are even friends with the boys in our classes, so they think that gives them permission to talk all overly friendly to us. You would think this could all be resolved by just having more police around our school, but, unfortunately, that wouldn’t make a difference. It’s hard to trust the police because if you go and report something, they just brush it off. They say things such as, “Oh, it’s not that serious; they’re just messing around.” They don’t realize that by saying that, it can discourage girls from coming forward. What if something really bad had happened? You know, most girls at my school don’t even understand how pregnancies happen. How are we meant to protect ourselves if we don’t have that information? I’m lucky because I was taught as part of the Safer Cities project. Recent findings from Plan International’s Expert Survey on Girls’ Safety in Cities Across the World, discovered that Lima is an extremely dangerous place for girls and young women to live. The survey found that the risk to girls of sexual harassment, sexual violence, theft, and robbery is very high in the Latin American city and that dangers like these negatively affect girls’ ability to attend school or work. For Marjorie, being involved in the Safer Cities project has helped her become more confident. “I used to feel so confused sometimes, but with all this information I feel informed. It’s also allowed me to be more expressive.